One of the most popular HGTV Sweepstakes in 2016 was the Urban Oasis Giveaway. The Craftsman-style home located in Ann Arbor, MI was won by Brandon Hickson-Hamilton of Upper Marlboro, Maryland last year. With no surprise, HGTV already confirmed that a follow-up is coming in 2017. 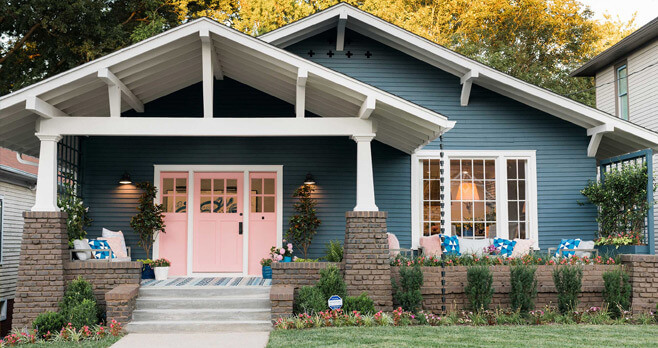 We don’t know much about the next HGTV Urban Oasis Sweepstakes (officially known as the HGTV Urban Oasis 2017 Sweepstakes), but we know that this year’s Craftsman-style home, a renovated 1925 bungalow, is located in the heart of Knoxville, TN. We’ve gathered all the information about the Giveaway so far. Be sure to check back as more information rolls out. The HGTV Urban Oasis 2017 grand prize winner will win the completely remodeled and fully furnished home plus $50,000 provided by national mortgage lender Quicken Loans. The Sweepstakes Period is scheduled to starts on October 2, 2017 and runs through November 22, 2017. Just like previous edition of the Sweepstakes, the HGTV Urban Oasis entry form can be found online at HGTV.com/UrbanOasis. While you can’t register right now, you can sign up to receive reminders for the HGTV Urban Oasis 2017 Giveaway. Eligible entrants will be able to enter twice per day. But remember that entrants using US mail may enter as often as they wish. The HGTV Urban Oasis 2017 sponsors include Overstock.com, Quicken Loans, Kohler, Samsung Electronics America, SimpliSafe Home Security, American Institute of Architects, and Bush Brothers & Company.